Huawei rounded 2018 off to a good note with its Mate 20 series, and the company already has big plans for the next year. As announced earlier, the company’s foldable device that it plans to release in 2019 would also be 5G ready. However, 5G compatibility isn’t as straightforward as it may sound. In the latest interview, Huawei’s European boss Walter Ji talks about the Chinese giant’s plans for 2019, which includes a flagship smartphone with impressive imaging capabilities. Walter Ji, who heads the Huawei division of Europe, recently revealed some of the company’s plans in an interview. The Chinese smartphone maker went big on camera this year, and they intend to continue improving the smartphone photography experience. Apart from equipping next year’s flagship handsets with four sensors, the company also plans to provide 10x optical zoom to improve the quality of pictures taken from smartphones. Unlike Samsung’s foldable smartphone, Huawei’s will also be 5G-ready. Ji reiterated that the arrival of 5G would improve speeds drastically and everything will be available without a delay. That being said, the company believes that things could be a little difficult in Europe at first. Different 5G frequencies would require engineers to work really hard to design antennas and modems. Moreover, it will take a lot of time for 5G to completely replace 3G and 4G and a nationwide expansion would take considerably longer. This doesn’t just apply to Europe, as the rollout of 5G would be slow everywhere initially. Moving on, Ji also revealed that Huawei will steer clear of entry-level smartphones as low-cost devices offer sluggish performance that affects the user experience, and this would reflect badly on Huawei’s image and possibly even the market. Moreover, Huawei doesn’t find the Android One program attractive, and the company doesn’t believe that its customer base is satisfied with it. However, you have to admit that devices sold under the Android One program run stock Android, making it the cleanest form of Google’s mobile OS. For what it’s worth, Huawei might distance itself from budget phones completely, and its sub-brand Honor will continue to release ‘value oriented’ devices in the future. So what do you think? 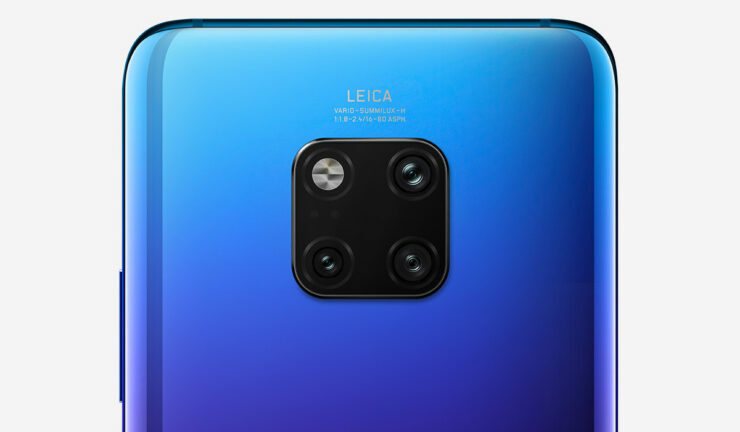 Huawei might not be the first company to launch a quad-camera smartphone but with 10x optical zoom? That’s going to be an interesting launch when we enter 2019.